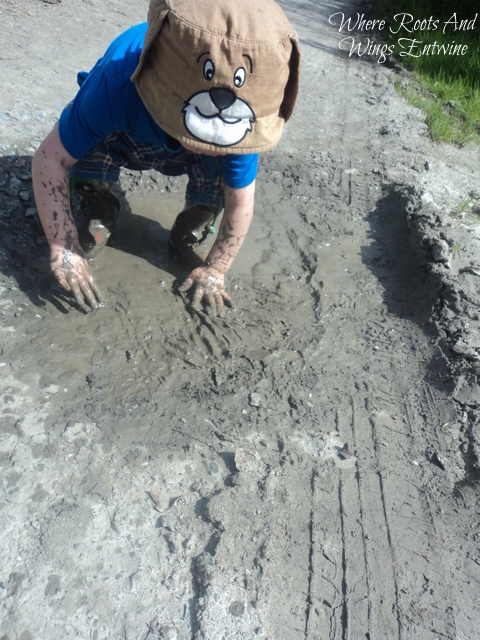 Where Roots And Wings Entwine: Muddy mess play. 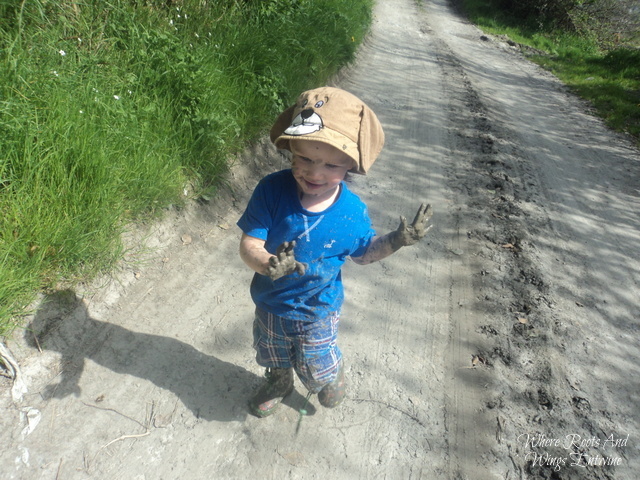 As Bug loves messy play and the great outdoors he loved combining the both and getting messy outdoors when we went on a lovely country walk in the sun on the bank holiday Monday at the start of May. 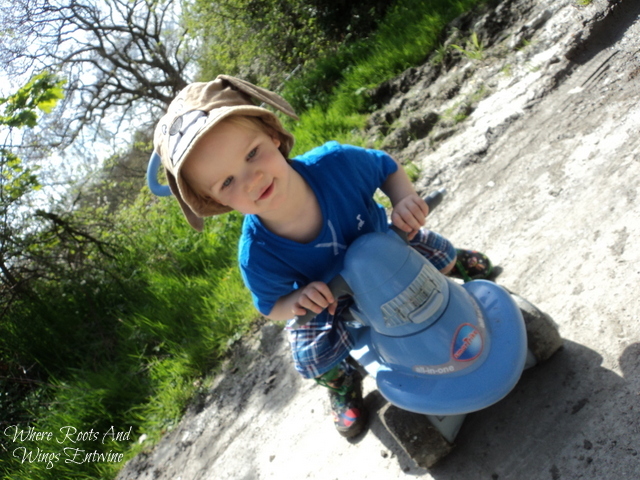 Bug took his Smart Trike ride on with him on our little walk and was happily scooting along. 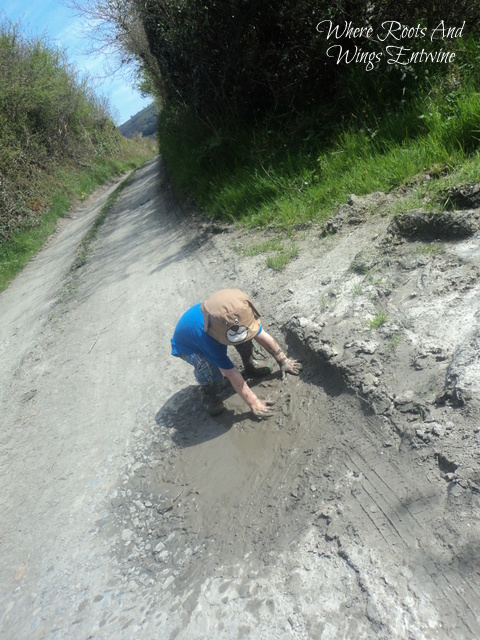 His scooting soon came to a stop when he came across a muddy puddle. 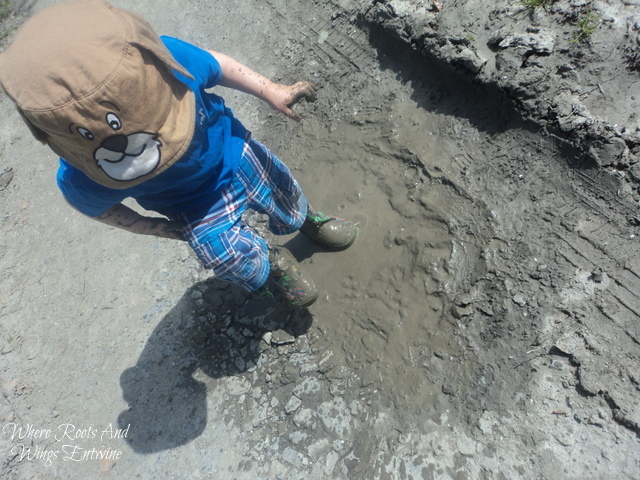 Bug being Bug he could not resist the temptation of having a little jump in the puddle. 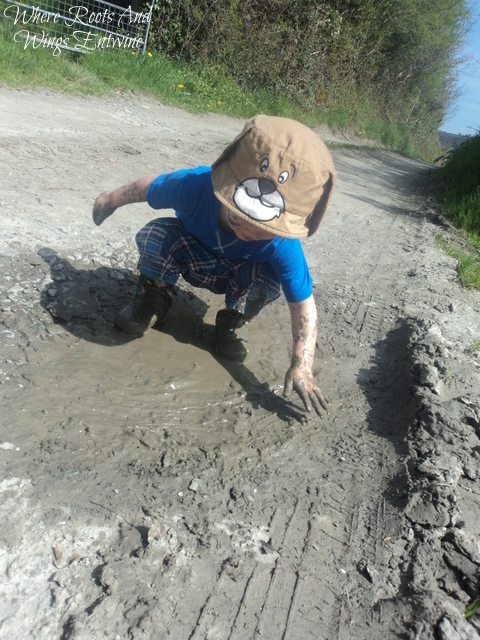 Squealing with delight at hearing the mud squelch and splosh Bug decided that puddle jumping was not messy enough for him and was soon a muddy mess, splashing around in the mud with his hands. 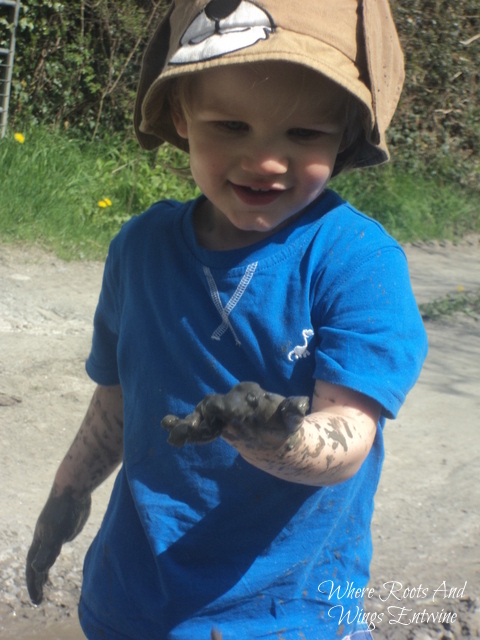 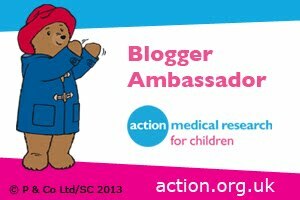 Once Bug was a complete and utter muddy mess he decided that mummy needed to get messy too and was soon chasing mummy with his muddy hands and once mummy had been caught he was rubbing mud everywhere. 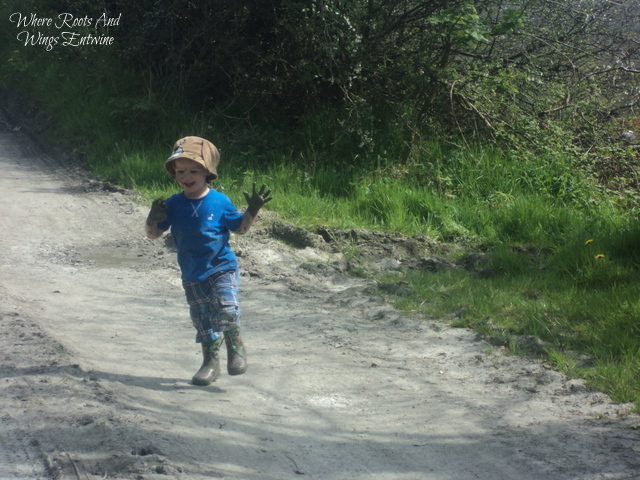 With giggles galore and a beaming happy smile Bug was delighted about getting mummy messy and once he had cleaned his muddy hands all over mummy he ran back to his muddy puddle to stock up on more mud. 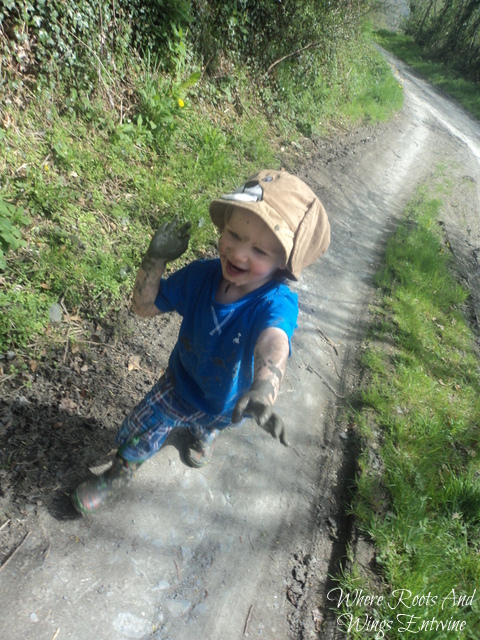 Once his hands were well and truly muddy again he set about chasing mummy to get her even muddier. 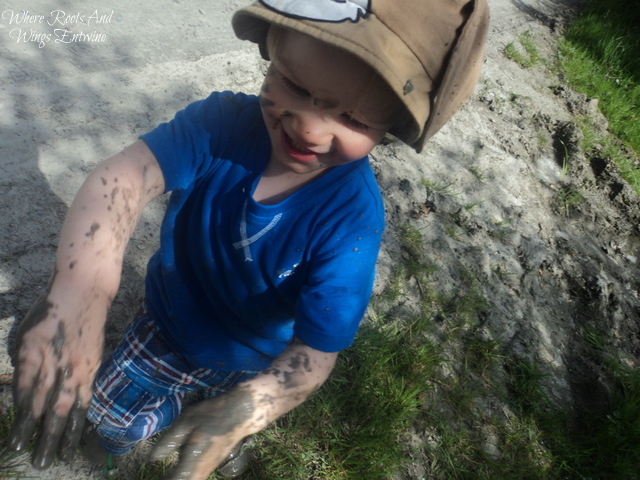 Bug had lots of fun playing in the mud and getting both himself and mummy muddy and very messy. 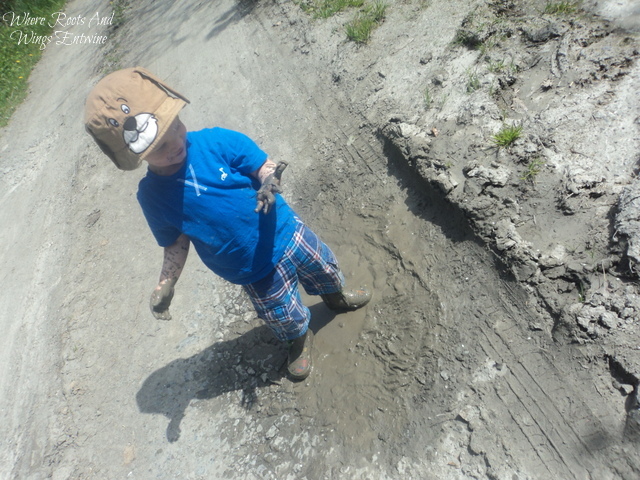 As Bug is magically drawn to puddles, muddy mounds and dirty messes I have a feeling that this is only the start of lots of years of muddy, messy fun and that this particular muddy day will be a tiny muddy mess in comparison to some of the muddy messes Bug will create in years to come. Bug looks adorable and cheeky too, I can see much washing machine action in the future. 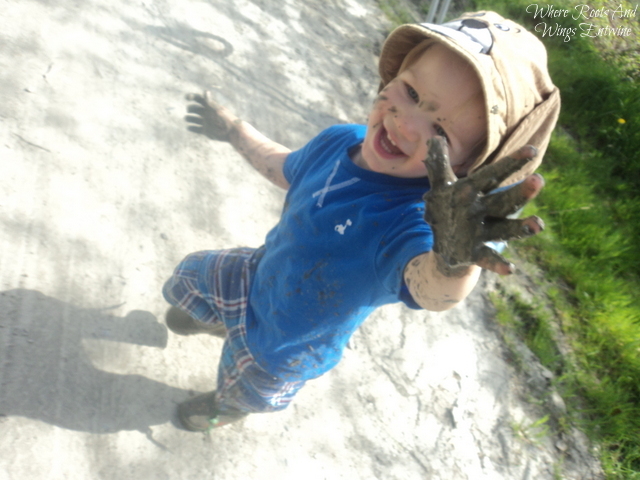 I love that you are happy to go with the flow and see the pleasure and enjoyment from his messy muddy play. 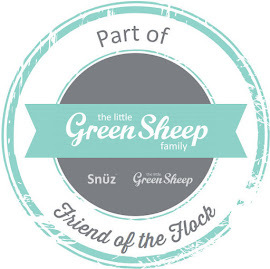 Thank you for linking up to Country Kids. 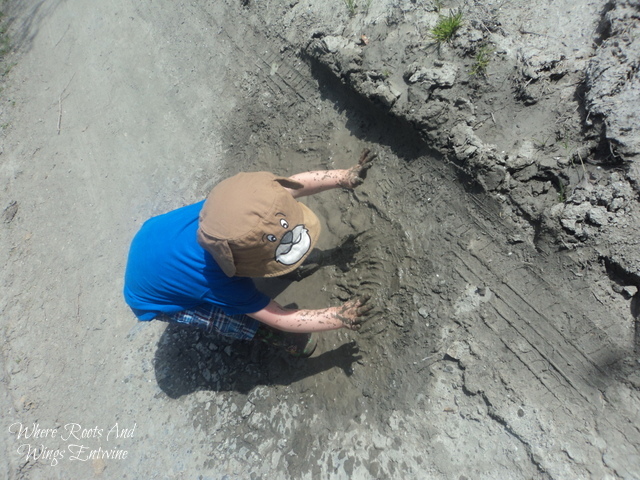 I have so many magical memories of playing outside as a child and I hope to give Bug similar memories and moments. 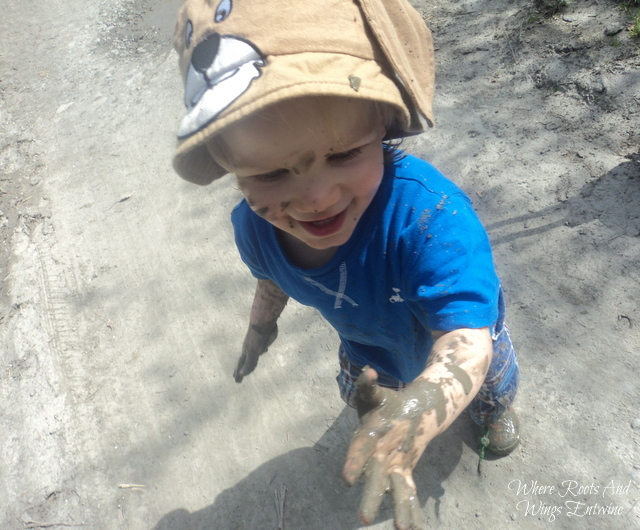 I love to let Bug play and explore and I don't mind either of using getting muddy and messy in the proccess.....there is always a washing machine and the bath to hand to clean up afterwards.